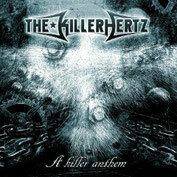 New Danish Hard Rock outfit THE KILLERHERTZ based in Copenhagen, will release their debut album "A Killer Anthem" on CD and Digital through Mighty Music/Target Group on May 26th 2014. 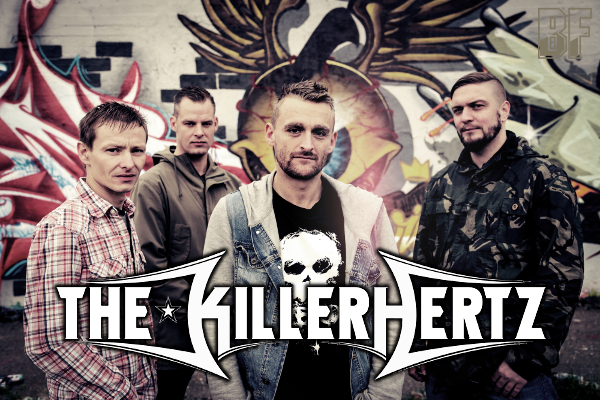 With inspirations ranging from the late 80’s, early 90’s heavy metal sound to some of the classic, Danish rock pioneers such as Dizzy Mizz Lizzy and Volbeat, THE KILLERHERTZ is now ready to unleash their deadly debut effort "A Killer Anthem". This album was recorded in 2012 in the heart of Copenhagen, and mixed and mastered by legendary producer Flemming Rasmussen, who rose to prominence in the 80’s as the man behind the sound of mighty Metallica. The lyrics of the album delves deeper into the personality of lead singer Thomas Pedersen (ex-Usipian, ex-Pitchblack), who shares with honesty his experiences in personal crisis, lost love, the passing of immediate family and his own fatherhood. It would sure be appealed to modern rock fans' empathizes along with their sound.